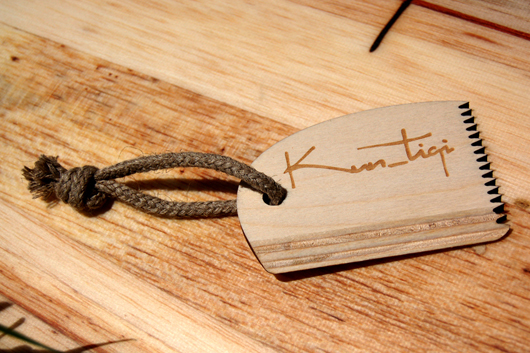 … that’s why Kun_tiqi does not only build wooden surfboards, but also Wooden Surfboard Wax Combs! It is a sustainable way to keep your wax grippy and your feet on the board. The length side of the wooden wax comb has a sharpened edge for easy wax removing. We used FSC certified european birch wood to keep the carbon foot print low and the comb strong. A natural hemp braid comes with the wooden wax comb to hang it where you need it! Get it at our online shop!